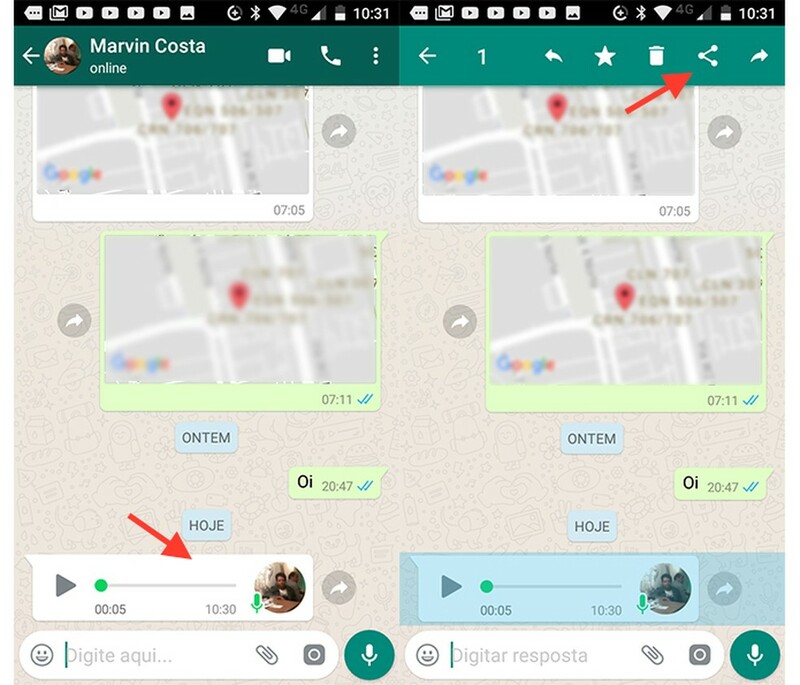 Receiving audio messages in WhatsApp can be a problem when we are in an environment where we can not hear them. In these situations, Android smartphone users can use the Transcriber for WhatsApp application to convert audio conversations to text. This free tool can identify the sound in several languages to perform the conversion and, in a few seconds, presents the message in a textual way on the screen. Check out, in the following tutorial, how to transcribe text messages received in WhatsApp for Android into text. Also know some quite good WhatsApp Marathi Status to use. Step 1. Access PlayStore to download and install Transcriber for WhatsApp . Then open the conversation and hold your finger by pressing the voice message for a few moments. Click the sharing icon at the top of the screen, as shown in the image below. Step 2. Tap the “Transcriber” icon, and then let the application access your WhatsApp files. Step 3. The voice message will appear briefly on the chat screen. Checkout our guide on how to recover deleted messages from whatsapp.